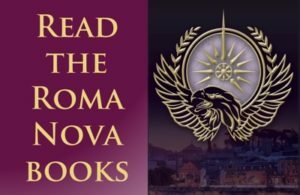 The Official Roma Nova Reading Guide – free! I’m a simple soul who likes writing. 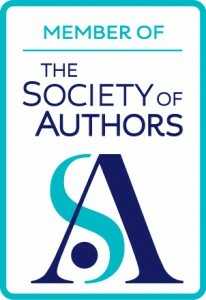 I quite like people and know agents, publishers, editors, writers from big publishers, small publishers, independent and small presses, aspiring writers, independent and self-published writers, not to mention commentators, bloggers, tutors and booksellers. As a recent arrival on the scene (2009), I’ve striven to learn as much as I can about the writing and publishing world in an effort to catch up. and I learn something new every day. But it’s a weird time in this world; changing landscape, wobbling goalposts, revolution – pick your own metaphor (or cliché). The traditional/mainstream/standard publishing route is no longer the only choice. Whether a local memoir published as a DIY ebook or a high quality paperback with a page-turning, heart-stopping adventure, a story can now get to market by a choice of paths – see the Internet for more information. Of course, each path has its own pros and cons, costs and rewards which makes it even more important for aspiring authors to do their research and weigh all the factors before deciding. 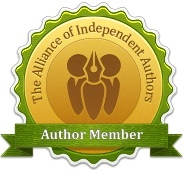 And each author will find a path that will fit them individually. 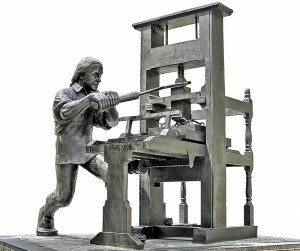 I’m not going into the arguments about criteria, quality, production values, editing and covers – there are plenty of sites and blogs dealing very well with those issues, including my own earlier post. My wish, and plea, is this: that the adversarial attitude is dropped. Writing is hard enough, and often confidence-sapping and sleep-preventing producing hollow-eyed pale beings who blink in daylight. None of us, whether published by the ‘big beasts’ or ourselves, needs to be fighting with, or sneering at, each other. There are enough problems out there – closing libraries and bookshops, exploitative ‘tutors’, services ready to rip authors off, a public reading fewer than six books a year on average – without turning on ourselves. Information and education to protect and encourage new writers should be our remit, not vitriol and disdain in both directions. There is now no single ‘right’ way to publish a book. It may be a tad Pollyanna-ish, but can we please dump the versus and have mainstream/traditional and independent/self-publishing? Alison Morton is the author of Roma Nova thrillers, INCEPTIO, and PERFIDITAS. Third in series, SUCCESSIO, is out early summer 2014. Oh Amen to that! There is room for all in the writing world. Thanks for this, Alison. As my family/regional/romance/saga doesn’t really fit the mould for a mainstream publisher, I am seriously considering self-publishing. Also better for me as I’,m in my 70s and don’t particularly want a writing ‘career’, ie under pressure to produce at least one book a year. Knowing that you’ve done it, and so successfully, is a great encouragement. Thanks, Anne. Have a really good look around before deciding how – DIY or with professional help. Of course, I would heartily recommend SilverWood Books who have been my stalwart support, but each writer must make their own mind up. The key is research, research, research. Good luck whatever you do. Thanks for the further advice, Alison. I did buy a book ‘To self-publish or not to self-publish? by Mick Rooney whom I think has something to do with the magazine you mentioned. In any case, it will be later on this year as I still have some revision to do following a report from an NWS reader. The NWS is a great scheme, isn’t it? Good luck with the revisions! Great post, Alison. One I heartily agree with. The ‘us and them’ attitude does no one any favours. We should all be working together to raise that six books per year average. Alison, hope you don’t mind me butting in but I think that Janet was referring to people reading an average six books a year not that she was actually writing them. I’m undergoing cataract treatment at the moment but when my eyes are ‘normal’, I can read 2/3 books a week! Audiobooks are a boon but an average book can take nearly a week to read. INCEPTIO goes on a blog tour in its new clothes! Double orange label – Thank you, Canada and Australia! Buy the Roma Nova box set from Apple/iTunes!